One of my new favorite desserts. 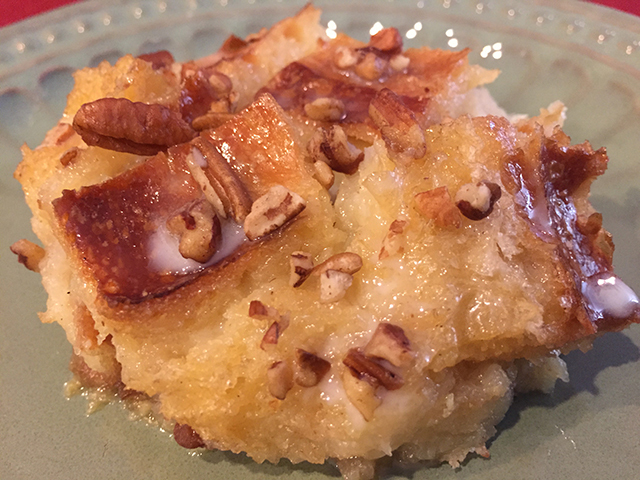 This bread pudding is soft and pillowy with a vanilla maple syrup base that will remind you of french toast in the best possible way. Easy to make with simple ingredients. Kissed with a touch of wood smoke to top it off. Your family and guest will be asking for this regularly. Start by cutting your sourdough into 1 inch cubes. Next combine eggs, syrup, vanilla, milk, sugar and salt and whisk together. 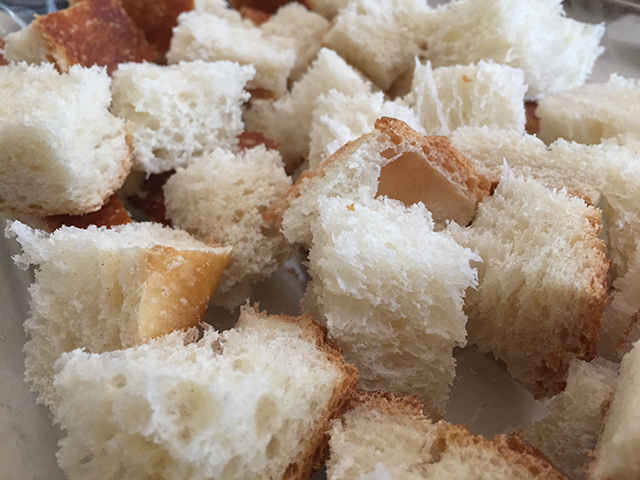 Add bread to an 8×11 inch casserole pan and pour your mixture over the bread. Top with pecans and cook in your smoker at 325f for 1 hour. While the bread pudding is cooking make the rum sauce by combing RumChata, heavy cream and sugar. Slowly simmer for 20 min and set aside. When the bread pudding is done let it cool for 15 min and serve with a drizzle of the rum sauce. If you have any questions on this recipe or any other posts please leave them in the comments below. 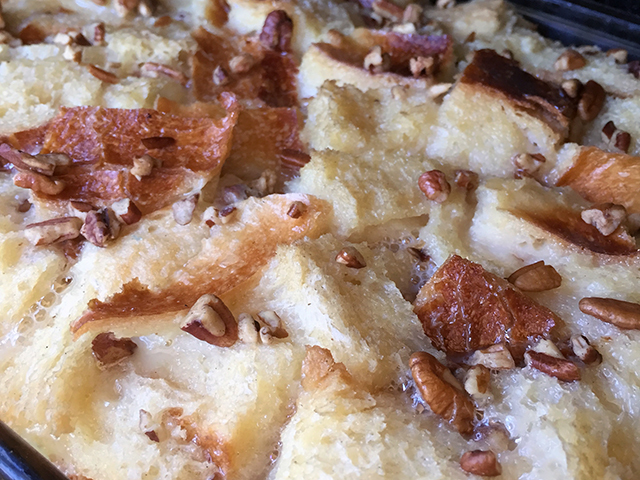 how much butter for the bread pudding?